Description: This startup launched by two nanotech centers develops hydrogen fuel cells to charge devices via USB. This innovative battery is made of water and aluminium, which are abundant resources. The batteries are resistant and can last more than 10 years. Maturity of the project: Prototype. Why do we love it: Great work on producing affordable hydrogen technologies that offer sustainable solutions, with a portable battery charger as the first step. Can you summarize HandyPower in one sentence? 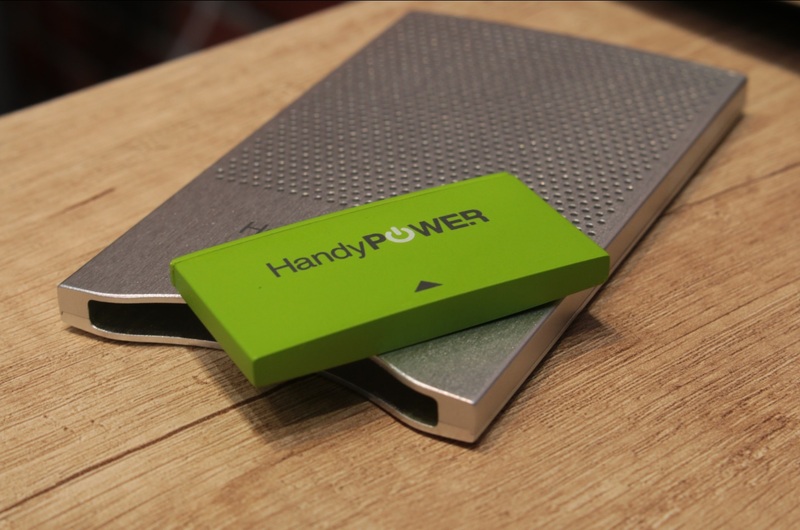 HandyPower is a portable fuel cell battery charger, employing aluminum-water or magnesium-water as a source of energy. Where did the idea for HandyPower come from? Smartphones are becoming more and more power demanding, also use-case for smartphones has changed – now it’s the main channel for content receiving and average time we spend using our smartphones has increased. The problem is that batteries still have the same characteristics as 10 years ago, so in the last 2-3 years market for Li-ion power-banks has been booming. But conventional power-banks require constant charging and this is what usually happens to me – forgetting to charge my power-bank before leaving. Also production of li-ion batteries is far from sustainable and there is simply not enough lithium, if each of us buys a Tesla and a few power-banks. And what is even more important for developing countries is utilization of worked-out batteries, because there is no infrastructure and people just throw them away. We wanted to find an alternative solution to this problem in terms of sustainability and provide convenient use case: if you have our device with a cartridge, you don’t have to worry about the grid. How do you see HandyPower’s future? There are 3 traditional problems regarding to Hydrogen as fuel: production, storage and transportation, which hinder implementation of clean and efficient hydrogen technologies. Our team have been conducting research in the field of Hydrogen technology for many years and our philosophy is shaped as « Hydrogen on demand » – it means that hydrogen is stored in stable and ecological form (e.g. water) and produced just when it’s needed, thus we avoid traditional problems. Also there is a problem of pricing: cost of hydgrogen technologies is high, because there is no mass demand and there is no demand because of high cost. We want to disrupt the market with affordable hydrogen technologies, thus HandyPower as a portable battery charger is the first step for us, then we plan to scale our technology and expertise for other applications. Methods for turning hydrogen into energy have been known for over a century, but they are only now starting to reach the consumer markets. In addition to being environmentally friendly, hydrogen power is better in many ways than the conventional variety. This industry has its Russian “champions” as well. « Kommersant », for instance, has attempted to figure out why anyone would develop this technology in an « energy superpower ». Hydrogen is the most common element in the universe, and the second most common (by atom count) on the planet. It’s the main component of water, and all living organisms. At the same time, from an engineering standpoint, it is quite capable of replacing refined hydrocarbons as fuel, if properly produced. It has obvious advantages: firstly, its combustion produces water rather than carbon dioxide, which is poisonous, and a “greenhouse” gas. Secondly, hydrogen can be converted to energy more efficiently than either gasoline or diesel. That is why it is frequently used as rocket fuel. HandyPower’s General Manager, Rinat Nafikov, believes that cell phones could very well use hydrogen as a source of power. He displays a silvery box that looks much like a TV remote control. This is a functional prototype, capable of converting water and aluminum into electricity, to be used for charging electronic gadgets. In summary, the prototype’s operating principle is quite straightforward: cartridges containing water, and a specially treated aluminum powder that reacts with water at room temperature, are placed inside. If you simply drop a piece of aluminum in water, it will become coated in an oxide film, and nothing happens. Researchers have figured out a way to make water break down when it comes into contact with aluminum, producing pure hydrogen. It is fed into a chamber surrounded by proton-exchange membranes. Hydrogen oxidizes on the membranes, generating electrical power, which is converted and applied to a USB port. Despite the fact that the technology appears futuristic, its foundations were laid way back at the USSR Academy of Sciences Institute for High Temperatures (currently, RAS JIHT). In 2012, the Russian Academy of Sciences Technology Transfer Center (RAS TTC), and ROSNANO, set about marketing the design; and, in 2015, the project was close to production. In Russia, business-minded people tend to believe that the combination of research and development, industry, and government innovation funds, is not economically viable; but, this is a perfect example to the contrary. « We seem to be the first company that has gone the entire innovation route exactly as originally conceived », chuckles Nafikov. To begin with, RAS TTC and ROSNANO established a startup to work with the idea developed by a RAS Research Institution, followed by a grant from Bortnik’s Fund, seed investments from nanocenters, under the ROSNANO Infrastructure and Educational Program Foundation, further followed in the next round by Skolkovo and entities within the Russian Venture Company. All this resulted in a functioning prototype, which is both usable and esthetically pleasing, as well as environment-friendly. « Speaking in ecological terms, our project is flawless », says Nafikov. « We input water and aluminum, and produce cold steam that escapes through pores on the box. The residue in the box is aluminum oxide, which may be used to make sapphire glass for portable electronic gadgets, amongst other things », he adds. The prototype uses a single cartridge to charge an average smartphone 30-40%, whereas the production version is expected to have a higher energy output. The approximate cost of a cartridge is 30 rubles. Used consumables may simply be discarded; unlike conventional batteries, they break down completely within two or three years, without harming the environment. 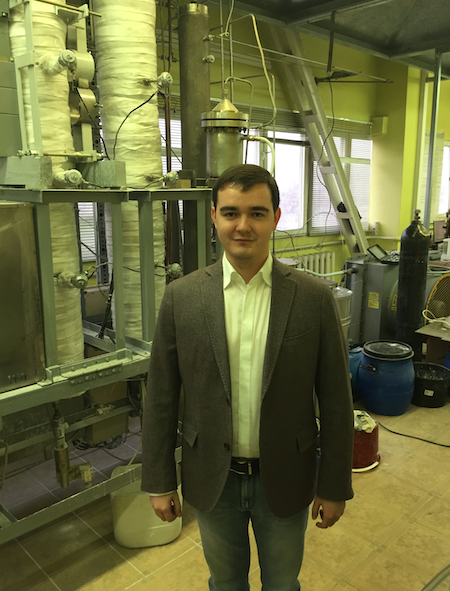 According to Nafikov, there are several startups around the world developing similar devices. There is a demand. « Phones, for instance, are becoming increasingly voracious, while the specific properties of batteries remain unchanged. Hence, their capacities must change. Our capacity is 300-400 W per hour per kilo, whereas that of conventional Li-ion batteries is 100-130 W per hour », he says. A similar German project, which raised $1.5 million in online investments last year, uses lighter refill bottles, instead of removable cartridges. HandyPower also intends to seek investment and partners internationally, while keeping manufacture local. « The idea is to keep anything which brings a greater value to Russia, local », notes Nafikov. Manufacturing patriotism is being fed by the economic crisis. Based on company estimates, the wages of electronic assembly workers outside the capital regions are already lower than in China. As far as future sales are concerned, however, the company is still looking towards the international market. The project has already generated some interest among Asian manufacturers of mobile devices. 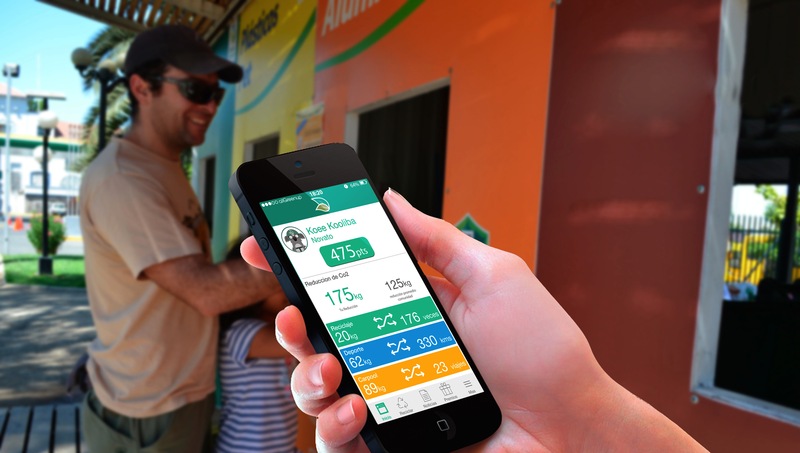 Its advantages were successfully demonstrated at exhibitions in Finland, South Korea, and the US. Russia’s progress is a lot more modest at the moment: large mineral deposits, coupled with a lack of environmental awareness, creates serious challenges for HandyPower in the domestic market. Despite plentiful resources, the development of hydrogen power in Russia is hindered by a rather backward automotive industry, according to Alexander Ramensky, President of the Russian and Vice-President of the International Association for Hydrogen Power. « Avtovaz is not yet ready to make a vehicle similar to the Toyota Mirai (the first mass-produced hydrogen-powered vehicle),” he pointed out in an interview with Kommersant. Ramensky says that, the fuel conversion factor for hydrogen-powered vehicles is twice that of the conventional ones, i.e. 40-45% vs. 15-20%. At the same time, hydrogen does not burn, but is converted to electricity, which is what moves the vehicle, thereby producing zero pollutants in the process, because the exhaust releases steam. The Russian Association for Hydrogen Energy considers promoting this type of power as its primary mission. Ramensky has filed 12 government standards which enable, if not the manufacture then, at least, the import of hydrogen-powered vehicles, and the construction of filling stations. « Our objective is to implement a general development strategy for this industry, and the relevant standards throughout the Eurasian Union », he states. However, Ramensky acknowledges that gasoline-powered vehicles are unlikely to be completely replaced by those running on hydrogen. They are fairly expensive (the hydrogen-powered Mirai costs approx. $70,000), partly because they use platinum catalysts. Nevertheless, these vehicle are competitive in the medium to high-price ranges, and are expected to become more affordable with time. Experts used to joke that, because of problems associated with production, transportation, and storage, hydrogen was a fuel of the future, and would forever remain so. But, thanks to the efforts put in by business people and researchers, it is slowly but surely making its way to the consumer markets. A few years ago, the development of hydrogen power was helped by high oil prices; but now, environmental concerns, as well as the desire to take advantage of advanced technologies, play a greater part. Despite the fact that Russia is obviously not short of fuels, the export of hydrogen products could become a driver behind an innovation economy. And why not, if it is already being used as rocket fuel? Cela fait plus de cent ans que nous savons comment produire de l’énergie à partir de l’hydrogène, mais elle commence seulement à faire son chemin sur le marché de la consommation. L’électricité obtenue à partir de l’hydrogène est, à bien des égards, meilleure que la production traditionnelle, car son utilisation ne pollue pas l’environnement. On trouve notamment des pionniers dans ce domaine en Russie. « Ъ » a tenté de comprendre les raisons pour lesquelles une personne développe de telles technologies dans une « superpuissance énergétique ». L’hydrogène est l’élément chimique le plus répandu dans l’Univers et le deuxième en termes d’atomes sur Terre. Il est constitué en grande partie d’eau et de plusieurs organismes biologiques. Par conséquent, s’il est correctement préparé, il peut techniquement remplacer le pétrole comme combustible. Ses avantages sont évidents. Tout d’abord, lors de la combustion de l’eau se forme, et le dioxyde de carbone n’a pas d’effet nocif sur l’environnement ni d’effet de serre. Ensuite, le coefficient d’efficacité de l’hydrogène lors de sa transformation en énergie est supérieur à celui de l’essence ou du diesel. C’est pour cette raison qu’il est fréquemment utilisé comme carburant dans les constructions de fusée. Le directeur général de la société Handy Power, Rinat Nafikov, pense que les téléphones portables peuvent également fonctionner avec de l’hydrogène. Il présente un boîtier argenté rappelant celui de la commande de la télévision. Il s’agit d’un prototype de l’appareil capable de réorganiser l’eau et l’aluminium dans l’électricité nécessaire pour charger le dispositif électrique. En clair, le schéma du fonctionnement de l’appareil est assez simple. On y place une cartouche contenant de l’eau et, en particulier la poudre d’aluminium préparée, réagissant au contact de l’eau à température ambiante. Si on jette simplement des morceaux d’aluminium dans l’eau, il se recouvre d’une pellicule d’oxyde et aucune réaction ne se produit. Les scientifiques ont compris comment faire pour qu’au contact de l’aluminium l’eau se dissocie afin d’obtenir de l’hydrogène pur. Il se dirige vers la chambre fermée par des membranes échangeuses de protons. L’hydrogène s’oxyde au contact des membranes et produit du courant électrique qui se transforme et arrive au port USB. Même si la technologie semble futuriste, l’Institut des Hautes Températures de l’Académie des Sciences de l’URSS (maintenant IVTAN) en a posé les bases. Le Centre de Transformation des Technologies de l’Académie des Sciences de Russie (CTT IVTAN) et RUSNANO ont commercialisé des produits en 2012 et, en 2015, le projet est sur le point de passer à la phase production. En Russie, le fait de considérer l’Union de la Science, de l’Industrie et des Fonds d’Innovation publics comme un entrepreneur n’est pas justifié, mais dans le cas présent, il l’est. « Nous sommes, à mon avis, la première société ayant franchi toutes les étapes de l’innovation exactement comme nous l’avions prévu », dit Nafikov en souriant malicieusement. Le CTT IVTAN et RUSNANO ont tout d’abord créé une start-up sur la base du travail de l’Institut de Recherches de l’IVTAN, puis ils ont bénéficié d’une subvention du Fonds Bornik, ensuite ils ont reçu des investissements de démarrage de la part du Fonds des programmes d’infrastructures et d’instructions de RUSNANO, et la prochaine étape est Skolkovo et les structures de Rossisskoy Venturnoy Kompany. Il s’agit par conséquent d’un prototype non seulement fonctionnel et esthétique, mais également qui ne porte pas préjudice à l’environnement. « Notre projet est irréprochable d’un point de vue écologique », déclare Nafikov. « Nous mettons de l’eau et de l’aluminium devenant de la vapeur froide qui s’échappe par les trous d’aération de l’appareil. Dans la cartouche, l’oxyde d’aluminium restant peut, par exemple, servir pour les verres saphir de l’électronique portable », ajoute-t-il. Le prototype nécessite une seule cartouche pour charger un smartphone standard à 30-40 %. Dans la version industrielle, la production d’énergie sera augmentée. Le coût approximatif de la cartouche est de 30 roubles (soit 42 centimes d’euros). Les consommables utilisés peuvent tout simplement être jetés : la différence avec les batteries traditionnelles réside dans leur désintégration complète en deux-trois ans sans nuire à l’environnement. D’après Nafikov, aujourd’hui plusieurs start-ups dans le monde travaillent parallèlement sur des dispositifs similaires. La demande est là. « Les téléphones deviennent de plus en plus gloutons tandis que les caractéristiques de poids des batteries ne changent pas. Donc, on doit modifier leur volume. La capacité volumique est de 300-400 watts/heure pour un kilo alors que celle des batteries standard lithium-ion est de 100-130 watts/heure », affirme-t-il. Un projet allemand semblable, qui a réuni l’année dernière 1,5 million de dollars d’investissements sur Internet, utilise à la place des cartouches amovibles des ballons pour le remplissage des briquets. Handy Power a également l’intention de trouver des investissements, ainsi que des partenaires à l’étranger, mais le produit sera fabriqué en Russie. « Le concept est le suivant : tout ce qui a un coût supplémentaire significatif sera fabriqué en Russie », affirme Nafikov. Le patriotisme industriel permet de donner un coup de fouet à la crise économique. Selon les estimations de la société, le salaire d’un monteur électronique dans les régions est déjà inférieur à celui de la Chine. D’ailleurs, en termes de ventes futures de la société, on espère davantage des marchés étrangers. Les fabricants asiatiques de téléphones portables ont déjà montré leur intérêt pour le projet et ses avantages ont été présentés lors d’expositions et de conférences organisées en Finlande, en Corée du Sud et aux États-Unis. En Russie, le succès reste encore modeste : Handy Power doit relever un sérieux défi au niveau du marché national : faire face aux importantes réserves de fossiles et à l’absence de conscience écologique. Hormis l’abondance des ressources, le développement de l’énergie hydrogène en Russie est freiné par une industrie automobile archaïque, affirme le Président russe et le vice-président de l’Association internationale pour l’énergie d’hydrogène, Alexander Ramenski. Avtovaz n’est pas encore prêt à lancer une automobile comme la Toyota Mirai (premier véhicule de série avec un moteur à hydrogène), fait-il remarquer lors de l’interview avec « Ъ ». D’après Ramenski, l’indice de mobilité de l’énergie du réservoir des véhicules à hydrogène est deux fois plus important que celui des véhicules classiques, 40-45 % contre 15-20 %. Ce qui signifie que l’hydrogène ne se brûle pas, mais se transforme en électricité qui permet de faire avancer le véhicule. Les effets néfastes sont par conséquent quasi inexistants, car le pot d’échappement dégage de la vapeur d’eau. L’Association russe de l’énergie hydrogène estime que son principal objectif est de promouvoir ce type d’énergie. Ramenski a enregistré 12 normes étatiques qui permettent si ce n’est de fabriquer, d’importer des véhicules à hydrogène et construire des unités de carburant. « Notre objectif est d’implanter une stratégie globale de développement dans ce domaine et des normes pour toute la zone européenne » affirme-t-il. D’ailleurs, Ramenski reconnaît qu’il reste encore du chemin avant de remplacer tous les véhicules à essence par des véhicules roulant à l’hydrogène. Ces véhicules sont assez onéreux (le prix de la Mirai à hydrogène avoisine les 70 000 dollars (soit 63 000 euros) en raison de l’utilisation de catalyseurs en platine. Hormis cela, sur le segment des prix moyen et supérieur, ces véhicules sont compétitifs, et à l’avenir ils devraient encore baisser. Les experts plaisantaient sur le fait que l’hydrogène est le combustible de l’avenir et qu’il lui en restera toujours en raison de sa complexité d’extraction, du transport et de la conservation. Néanmoins, grâce aux efforts des hommes d’affaires et des scientifiques, il fraye son chemin, lentement, mais sûrement, sur le marché de la consommation. Il y a de cela deux ans, la hausse des prix du pétrole a contribué au développement de l’énergie hydrogène. Aujourd’hui, elle est redevenue une des considérations environnementales importantes avec le désir de se joindre à la technologie du futur. Sans tenir compte de l’absence évidente en Russie de pénurie énergétique, l’exportation de la production d’hydrogène peut tout à fait être un des moteurs de l’économie innovante. Pourquoi pas, s’il est utilisé dans les moteurs de fusée ?